The United Nations on Thursday inaugurated the Minister of Transportation, Mr. Rotimi Amaechi, as an Advisory Board Member of the United Nations Road Safety Trust Fund. Media aide to Amaechi, Mr. Israel Ibeleme, made this known in a statement on Thursday in Abuja. 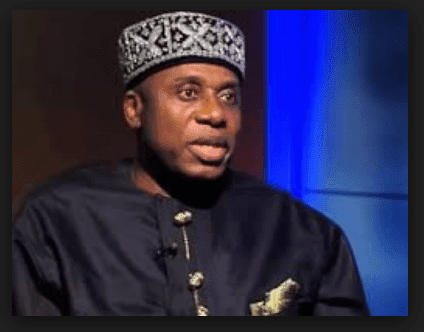 According to Ibeleme, Amaechi, who was recently appointed as an Advisory Board member of the UNRSTF, was currently representing Nigeria and Africa at the inaugural meeting of the Board. He said that as a member of the UNRSTF Advisory Board, Amaechi will play an important role of collaborating to reducing the number of accidents and casualties; and making a real impact on global road safety. Ibeleme said that the discussions and decisions at the meeting will greatly shape the operationalization of the UN Road Safety Trust Fund. “The UNRSTF was established in April 2018 to address the worldwide accident crisis resulting in 1.3 million lives lost and additional 50 million injured on the road each year. “The United Nations Road Safety Trust Fund was establish at the request of the UN Secretary–General, following suggestions made by several United Nations member states. “It aims to accelerate progress in improving global road safety by bridging the gap in the mobilization of resources for effective action at all levels. “The fund’s main objective is to mobilise resources from the government, intergovernmental or non-governmental organisations and the private sector for immediate and effective action in any case,” Ibeleme said. Ibeleme noted that since Amaechi assumed duty as Minister of Transportation in Nov. 2015, there has been a renaissance in the Nigerian Transportation system. He said that his involvement in the UNRSTF will bring about more intervention in the area of road safety in Nigeria and Africa.